I suppose it’s fitting that The Greatest Showman, a biopic of circus namesake P.T. Barnum and one of this year’s big-screen holiday offerings, would see release in 2017. The 146-year-old circus that bore his name, Ringling Brothers and Barnum & Bailey, closed up shop in May of this year after becoming an unsustainable business venture with poor sales. And then there’s Donald Trump, who in 2017 managed to turn the White House and the entirety of national politics into a three-ring circus. 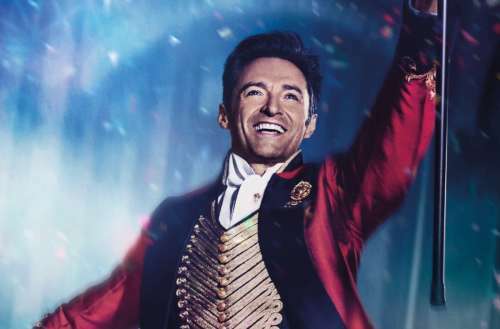 But when it comes to the film, critics are mixed about The Greatest Showman. Some find that it lives up to its movie musical intentions — “a fantasia of song and dance” as one reviewer calls it” — while others feel it’s all visual with no substance. The Michael Gracey-directed film — starring Hugh Jackman, Michelle Williams, Zac Efron, Zendaya and Keala Settle as the Bearded Lady — features songs by the duo behind both La La Land and Dear Evan Hansen. 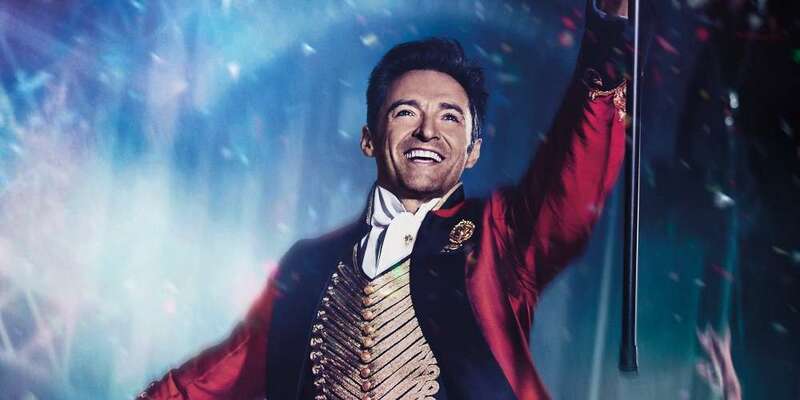 The Greatest Showman wants to give you a splashy good time, and does, and it’s got something that takes you by surprise: a genuine romantic spirit. The numbers are shot like electromagnetic dance-pop music videos, and to say that they sizzle with energy wouldn’t do them justice — they’re like a hypodermic shot of joy to the heart. You know you’re watching conventional chorus-line-with-a-beat flimflam, all decorating a tall tale, but that’s the ultra Hollywood pleasure of “The Greatest Showman.” It’s a biopic that forges its own uplifting mythology, and if you think back on it when it’s over and feel, maybe just a little bit, like you’ve been had — well, that’s part of its sleight-of-hand charm. P.T. Barnum would have been suckered by it, and would have approved. 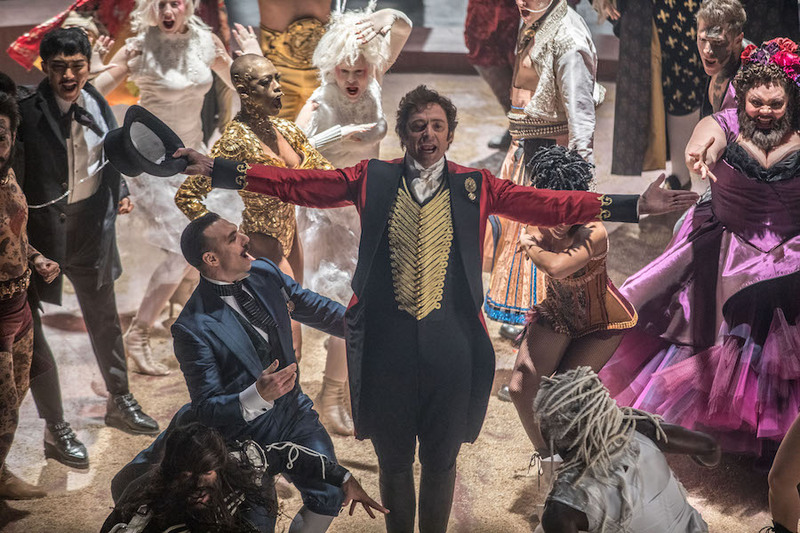 The Greatest Showman, a montage sequence that occasionally turns into a movie musical, steers clear of any contemporary resonance and ignores meaty themes. The first-time director Michael Gracey achieves an aggressively synthetic style through kinetic editing and tidy underdog stories, but none of the true joy of pulling a fast one. It’s a standard-issue holiday biopic, one that tells a story about a populist entertainer hungry for highbrow respect, the joys of showbiz and the price of ambition. An amusement park version of P.T. Barnum is fine, as far as that goes, but if you are going to aim for family-friendly fun, you need to get the fun part right. Listen, I don’t know if The Greatest Showman is a great movie, or even a good one, and maybe that’s the point: It is, after all, about a guy who paraded human beings with unconventional body shapes before leering, laughing audiences and got rich doing it. But the movie did two things any movie should do: It took me out of my panicked head, and it gave Hugh Jackman and Zac Efron 320 opportunities each to stand with their arms outstretched in victory. Seriously, this movie is about 60 percent Scott Stapp pose. The Greatest Showman is in theaters now.